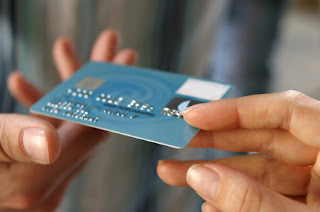 Plastic money in the form of a prepaid card is the modern way of giving pocket money to teenagers now that digital payments are most widely used. Most reputable online financial service companies like TotallyMoney offers prepaid cards and information on other financial products to help you find the right one suitable for your need. The prepaid card is a type of a debit card where you can allocate monetary allowance through uploading funds onto it and is especially designed for children with ages under 18. If you are a novice in availing financial products like prepaid and credit cards, don't be afraid to compare credit cards online. It is best to take advantage of the free services of online financial institutions to get informed accurately on the up-to-date best credit and prepaid cards in town through comparison. The art of money management is best recommended for children to learn in the earliest time possible. How to make a financial plan in the simplest way possible like for instance letting them understand the difference between wants and needs. Making them aware that the funds transferred to their account comes from a hard earned money that is also listed in the family’s weekly budget. In this way they will be encouraged to make better decisions on how to spend the daily or weekly monetary allowance they receive from us their parents, thus will also persuade them to be responsible in money handling as they keep track on their remaining balance. In order for their funds reach their one week expenses, they will be aware of the significance of wise spending, thus we can be able to control our youngsters unnecessary expenditures. One of the many benefits a prepaid card can do is giving us a peace of mind for it would be safer for our kids to bring along plastic money with them instead of cash. No need to worry in case the card get lost or misplaced, by merely reporting the lost card to the credit card company, funds will be secured through automatic account freezing. Moreover, should a need of unexpected expenses arise such as buying a needed reference book, it would be easy for us parents to just add the necessary amount needed to the prepaid card by doing money transfer transactions at a local bank or through online banking. This is awesome idea. As an adults or a parents out there we need to teach our kids to save money. In this way, we can help them in their future to budget in an early age..